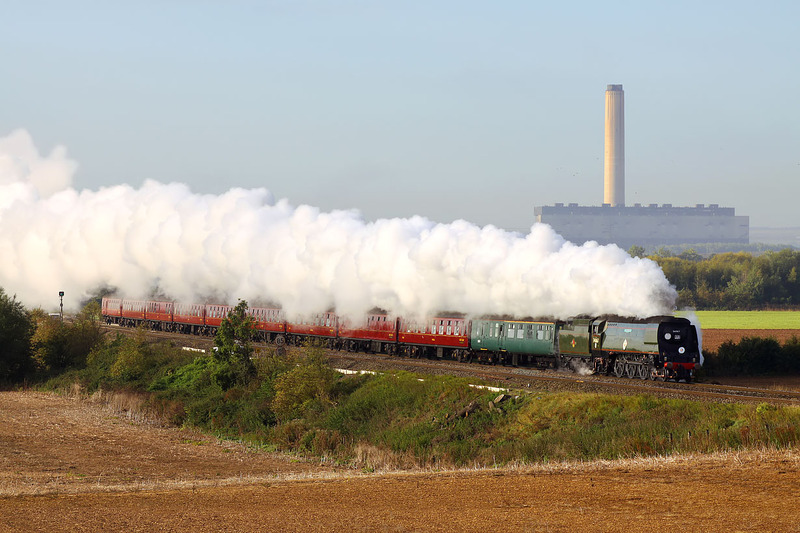 Battle of Britain Class 4-6-2 34067 Tangmere approaches Culham on 26 September 2015 with the Railway Touring Company 1Z25 07:05 Paddington to Worcester Shrub Hill 'Cotswold Venturer' railtour. The disused Didcot Power Station dominates the background. The light coloured part of the main building is the former coal bunker, and when this picture was taken had less than an hour left, being blown up as part of the station's decommissioning.